Divorces, while not unheard of in the Regency, were extremely rare. Only the wealthiest could afford the expensive process of filing a bill of divorce, which must be approved by the House of Lords before moving to the House of Commons. It sometimes took years for Parliament to grant a divorce. As women had few legal rights, the divorce petition had to originate with the husband, and in almost all cases was initiated because of the wife's adultery. Because few men wished to own they had been cuckolded, only the most furious of husbands would set themselves up for such notoriety. For the divorce hearings—where witnesses gave testimony to prove adulterous liaisons—generated tremendous notoriety. Printings of the transcripts made bestsellers. Some men braved the notoriety the absorbed the expense of divorce in order to ensure they would not have to give their name to a child fathered by the wife’s lover. By English law, any child born during the marriage was the legitimate issue of the marriage and could claim titles, land, or other inheritances. A much cheaper—and more common—option for a couple trapped in a miserable marriage was an ecclesiastical separation. 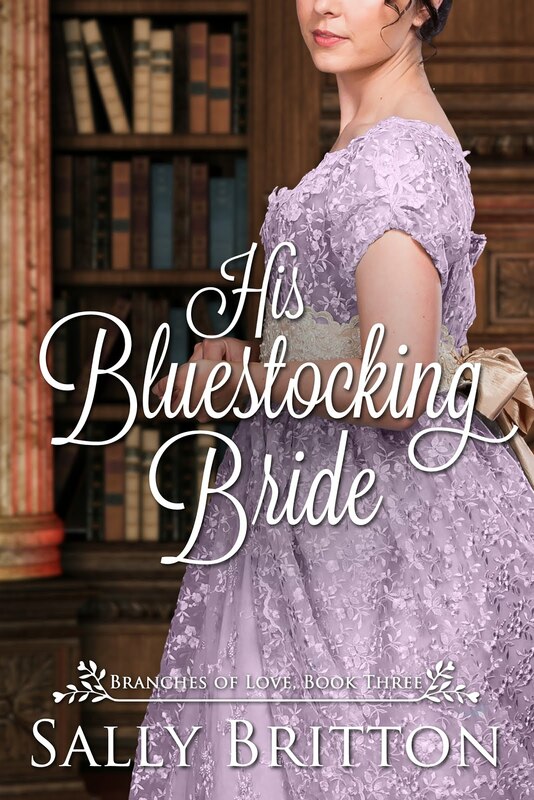 The drawback to separation was the inability to remarry.—Cheryl Bolen’s latest novel, Oh What a (Wedding) Night, continues the Brazen Brides series of Regency romances. The medieval era spanned the period from the 5th through the 15th centuries and marriage in many places, including Scotland, changed over the course of the centuries. 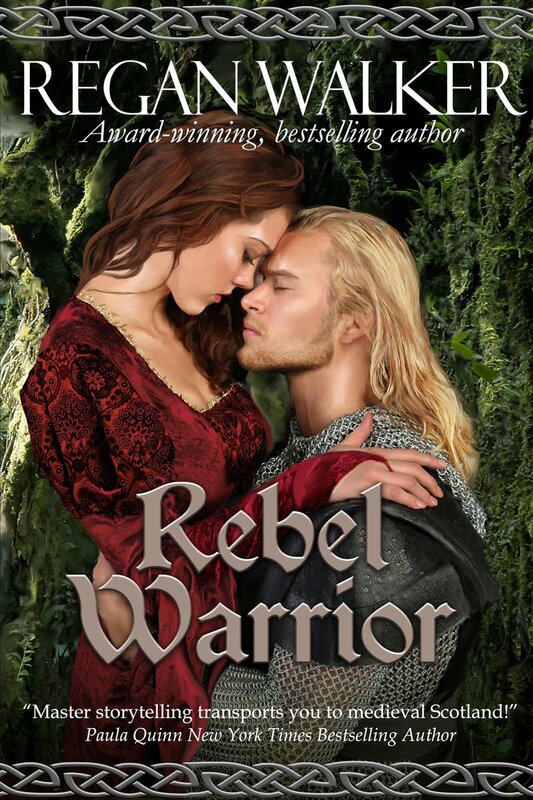 My newest medieval novel, Rebel Warrior, is set in Scotland in the late 11th century. 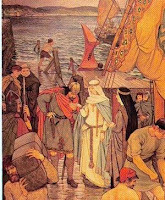 When Malcolm, King of Scotland, met the beautiful Saxon Princess Margaret of Wessex, sometime around 1068-1070, he had already been married to Ingebiorg, the widow of Thorfinn Sigurdsson (“Thorfinn the Mighty”), Jarl of the Orkneys. It is generally assumed that Ingebiorg, who bore Malcolm three sons, died sometime before 1070. History does not tell us what happened to Ingebiorg. Some accounts hint at the possibility of poisoning. However, Malcolm would not have needed to dispose of her that way if he was of a mind to be free. In the 11th century, wives in Scotland were “put away” on the slightest pretense. The dissolution of marriage being a lax affair at the time, it could be that Malcolm merely put away his first wife to marry Margaret. We may never know. There would have been a ring. The exchange of the rings was a main feature in Scottish wedding ceremonies from ancient times. 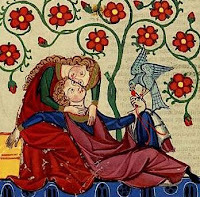 By the late medieval era, they could have married by merely affirming their intent to wed. Witnesses were not needed either. Such an affirmation would suffice per the Roman Catholic Church, which by then had a hold on Scotland. The Culdees (the Scottish clerics) after the 12th century were folded into the Roman church. 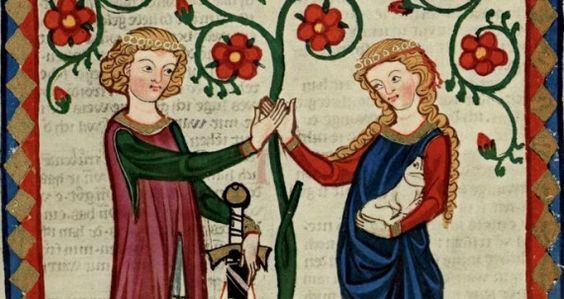 In the medieval era, handfasting represented the betrothal of the intended couple, not the actual marriage itself. Handfasting as a “trial marriage” is first referred to in the 19th century and, though romance writers love it, some scholars doubt it was used for marriages. Women could marry from the age of 12 (for boys it was from 14) and, while many girls from the upper ranks of society married in their teens, by the end of the medieval period most in the Lowlands married in their twenties. This allowed them to acquire the resources needed to form a household. Of course, if you were noble born, your father might have betrothed you to your future husband when you were quite young. Women of the aristocracy were desired for their dowries. Their land and wealth was a means of securing greater wealth and political power for the combined families. However, in all levels of society, an economic agreement between the two families would be reached before the marriage. Unlike in England, where kinship was derived through both males and females, in Scotland, women retained their original surname at their marriage. The extensive marriage bars for kinship meant that most noble marriages required a papal dispensation, which could later be used as grounds for annulment if the marriage proved politically or personally inconvenient, although in this period in Scotland’s history, there was no divorce. You were married until one of you died or, in the earlier centuries, you were just “put away”. The only way out was to prove you were never legally married, that is to have the marriage annulled. The grounds would be that one or both of them were either too young, they were too closely related to each other, the man was impotent at the time of their marriage, one party was insane at the time of marriage, or already married (or betrothed) to someone else at the time of their marriage. Even if you married too young, if you continued to live together as man and wife when you came of age (12 for women, 14 for men), then you were considered legally married (continuing to live together was considered to be an affirmation of intent to marry, much like our Common Law marriage). It was not until the Reformation (which officially occurred in Scotland in 1560) that divorce and remarriage became a possibility. So one had to make a good decision. The Norman Conqueror robbed Steinar of Talisand of his noble father and his lands, forcing him to flee to Scotland while still recovering from a devastating wound. At the royal court, Steinar becomes scribe to the unlettered King of Scots while secretly regaining his skill with a sword. The first time Steinar glimpses the flame-haired maiden, Catrìona of the Vale of Leven, he is drawn to her spirited beauty. She does not fit among the ladies who serve the devout queen. Not pious, not obedient and not given to stitchery, the firebrand flies a falcon! 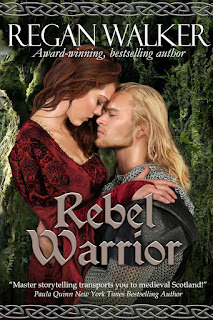 Though Catrìona captures Steinar’s attention, he is only a scribe and she is promised to another. Catrìona has come to Malcolm’s court wounded in spirit from the vicious attack on her home by Northmen who slayed her parents and her people. But that is not all she will suffer. The man she thought to wed will soon betray her. English marriage, and the methods in which one could place one's neck in the "parson's noose," underwent a number of changes just prior to the Regency, and they changed again during the Victorian Era. Though a Special License appears frequently in romance novels, during the Regency Era, it was issued rarely, and only under extenuating circumstances. During the Regency, the most common way to get married (especially among the humbler classes) was to have the banns posted also called "putting up the banns." This required posting on the wall of the church and read by the clergy from the pulpit of both the bride and the groom's parish for three consecutive Sundays in order to give the public a chance to object to the marriage. After that, couple could get married within 90 days, and the wedding must take place between 8 in the morning and noon in the husband or wife's parish of Church of England, even if the couple were Catholic. Quakers and Jews were exempt, apparently. A couple wishing to marry could also do so by ordinary license. This did not require putting up the banns, but it cost money--not much, but it wasn't free, and it had many of the same restrictions of marriage by banns. Marriage by special license was different. The advantages of having a special license were that a couple could marry any time and place that they wished. When applying for a special license, certain criteria must be met. First of all, few outside of titled lords and their spouses and children were eligible, and one seeking such privilege must go appeal to His Grace, the Archbishop of Canterbury. "BY the Statute of 23 Hen. VIII., the Archbishop of Canterbury has power to grant Special Licences; but in a certain sense these are limited. His Grace restricts his authority to Peers and Peeresses in their own right, to their sons and daughters, to Dowager Peeresses, to Privy Councillors, to Judges of the Courts at Westminster, to Baronets and Knights, and to Members of Parliament ; and by an order of a former Prelate, to no other person is a special licence to be given, unless they allege very strong and weighty reasons for such indulgence, arising from particular circumstances of the case, and they must prove the truth of the same to the satisfaction of the Archbishop." "In the case where the parties applying do not rank within the restricted indulgences, a personal interview should be sought, or a letter of introduction to his Grace should be obtained, containing the reasons for wishing the favour granted. 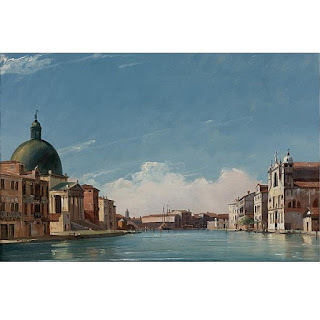 Should his Grace grant his fiat, in either case the gentleman attends his proctor to make the usual affidavit, that there is no impediment to the marriage—the same as in an ordinary licence." Charles Manners-Sutton (1755–1828), Archbishop of Canterbury. When applying for a special license, both the bride and groom must be named so the Archbishop of Canterbury could verify their eligibility to wed. Since those who could use a special license were all members of the upper class, and since the archbishop sat in the House of Lords, His Grace probably knew most of them. Regardless, he would not have issued a license without verifying their eligibility to wed.
Also, a special license cost quite a bit more than a regular marriage license. However, a special license allowed a couple to marry in any location and at any time. It also made the posting the banns unnecessary, so if there were some reason a couple wanted to marry in haste, or didn't want to subject themselves to public protestation, this allowed a way to do it. Remember, though, that obtaining special license was dependent on the Archbishop of Canterbury's decree and goodwill. His Grace didn't grant Special Licenses frequently nor lightly. More information about the different methods available to the Regency couple wishing to marry can be found here. The Peace of Amiens seemed to be a peace no one really wanted to keep--it began on March 1802 and ended May 1803 when Britain declared war again on France. 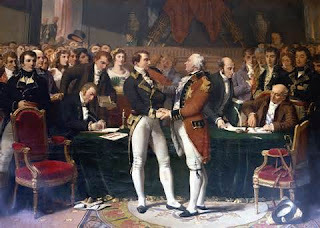 Joseph Bonaparte, the First Consul's brother, and Lord Charles Cornwallis, Marquis Cornwallis—the same Cornwallis who had fought the Americans in their Revolutionary War—had signed the treaty after months of negotiations, which had started the previous November, with a truce having been set in October 1801. The treaty had no trade terms, the King of England gave up his hereditary claim to the French throne, and France kept all conquests made since 1793, giving up only its claims to the Papal States, Egypt, and the Kingdom of Naples. This left French troops occupying North Italy, Germany, and the Netherlands. Bonaparte also made no secret of his desire for France to continue expansion. However, in the spring of 1802, many in England choose to see the one bright thing about such a peace—it opened Paris to them again. According to The Age of Napoleon, by J. Christopher Herold, "By September 1802, there were about ten thousand Englishmen in Paris alone. The social scene was more brilliant than it had been during the last years of the old regime. The great salons, including the celebrated one of Madam Récamier, were open to the more distinguished of the English visitors, and such new and dazzling places of entertainment as the Tivoli and Frascati's were open to all who wanted to see them." At about this time, Francis W. Blagdon made a bold trip to Paris, crossing as soon as a truce had been announced and he could get a passport. His letters, collected in Paris As it Was as it Is, provide a look at the city and what he remembered of it from pre-Revolutionary days. He writes of Paris, "What a charming abode is Paris, for a man who can afford to live at the rate of a thousand or fifteen hundred pounds a year!" He exclaimed over the beauty of the Tivoli gardens, and wrote, "...at Frascati, you may, in that gay season, eat ices as good as those with which Cardinal de Bernis used to regale his visitors...."
He also notes, "The houses of the great are difficult of access, and those of the secondary class scarcely open with more ease than they did before the revolution. If proper attention be paid to all the letters which a stranger brings, he may be satisfied; though the persons to whom he is recommended, seldom think of taking him to the residence of any of their friends. Therefore, an English traveler, who wishes to mix much in French society, should provide himself with as many letters of recommendation as he can possibly obtain; unless, indeed, he has a celebrated name...."
For those who were happy with lesser amusements, the peace opened up the opportunity to see the early "aeronauts." Andre-Jacques Garnerin, his wife Jeanne-Genevieve, and his niece Elisa performed balloon ascents and parachute descents in the Jardin de Tivoli. But quite the most popular attraction had to be Bonaparte, who had himself proclaimed First Consul for life after coming to power and bringing under control the worst of the Terror, and who held court at the Tuileries Palace. "It was an impressive spectacle to see him in his gold-embroidered uniform of state walk briskly through the two ranks of guests, stopping here and there to ask a few brusque questions as if the visitors were so many generals," writes Herold. Like many liberal English Whigs, Charles Fox thought Bonaparte a man who could keep the freedoms France had gained under her Revolution and still keep order. 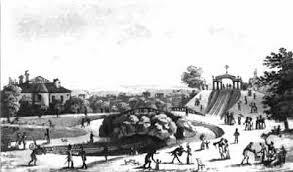 Fox arrived in August 1802 with his wife to visit Lord and Lady Holland, who had traveled abroad due to a doctor's recommendations for their eldest son's health. After meeting Bonaparte, Lord Holland wrote of the man, "Bonaparte seems to govern entirely by himself, and considers his Ministers and men of business merely as clerks. He is undoubtedly impatient of contradiction, to a degree amounting not only to a blemish in his moral character, but to a weakness in his understanding. In every other respect, however little one may approve, every one must admire him. The Republicans who raised him, and the friends of rational liberty who first produced and afterwards suffered by the Revolution, are clearly the two descriptions of persons most dreaded and disliked by the Consul. He adopts the principals of the old Government in many respects, but he certainly has the advantage of not having his power necessarily connected with the restoration of feudal laws and all the abuses which they had produced..."
Along with new roads and buildings and its salons, Paris was a city of troops and spies. Not everyone loved their First Consul. Bonaparte had already done away with much of his competition for power in the late 1700’s. However, there had been one plot in 1800 with an explosion set in the Rue St. Nicaise that had failed to kill Bonaparte. Other plots continued. Royalists wanted to restore the monarchy, republicans felt betrayed by Bonaparte's dictatorship and looked for their chance to eliminate the man, jealous generals who had watched Bonaparte's rise through the ranks sought their own opportunity to rule in his stead, and other political factions wanted power as well. Bonaparte knew he had enemies, and he intended to always be one step ahead of them, with his police and those few advisors he trusted. He dealt with the extremists of the Revolution, with uprisings in France, and with the royalist Chouans all with the same brutal, quick military action to kill opposition. Literally. In Holland and the Netherlands, travelers saw the scars of war. 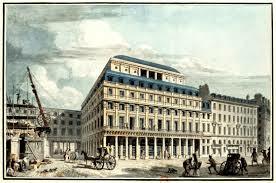 In Paris, royal palaces lay empty, stripped bare, or had been converted into hotels and mansions for the new elite. Bonaparte restored the churches (which had been stripped and converted into warehouses for the most part duing the Revolution). The Palais-Royal, built for Cardinal Richelieu and then made a palace for royalty, had already been converted into a series of shops by Philippe, the Duc d'Orléans. Gambling houses and brothels thrived here. The Place de Grève, next to Paris's City hall, the Hôtel de Ville, was the traditional spot for executions, and a guillotine continued in use here until 1830. But it was at the Place de Concorde where the king and queen had lost their heads to Madame Guillotine—it was said that at one time the stench of blood had been so strong that cows refused to cross the square. Despite the French police, Paris had its share of pickpocket's and thieves as well. Still, in 1803 (and echoed again in 1814) the mood of English visitors was to enjoy the moment, not to find problems or bring up unpleasant history. Far better to mingle in a fashionable Paris café with dashing French soldiers and charming French women who still considered themselves liberated by the Revolution. Or to bribe one's way into the First Consul's reception to glimpse the famous man and his generals. Or to be daring and risk the latest discovery and current rage and have one's child vaccinated. Beyond the social scene, the main attraction of Paris, for the English who had lived under blockades and lack of trade goods for years, had to be the shopping. Lord Holland wrote, "The sums expended on dress are quite incredible, and the richness of the shops in those articles, as well as in furniture, exceeds not only all description we have ever heard in England but anything the most expensive persons there can imagine." In 1803, Bonaparte reestablished the Comédie Française, which had not existed since the Revolution (comedie meaning dramatics, not comedy). The Académie des Beaux-Arts also began, taking up the work of supporting the arts from the royal institutions that had been abolished, the Académie Royale de Peinture et de Sculpture, the Académie Royale d'Architecture, and the Académie Royale de Musique. Alexandre Grimod de la Reynière published his work Almanach des Gourmands giving the world the idea of food reviews. 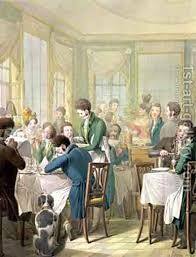 Paris had already invented the idea of what we would view as a modern restaurant--a place designed to sell meals, as opposed to an inn that provided meals to lodgers. Beauvilliers, at 1243 Rue de la Loi, had been famous for its food before the Revolution and continued to serve, but now the new rich came with their demi-monde ladies. Blagdon noted that the restaurant offered, "Soups, thirteen sorts.—Hors-d'œuvres, twenty-two species.—Beef, dressed in eleven different ways.—Pastry, containing fish, flesh and fowl, in eleven shapes. Poultry and game, under thirty-two various forms.—Veal, amplified into twenty-two distinct articles.—Mutton, confined to seventeen only.—Fish, twenty-three varieties.—Roast meat, game, and poultry, of fifteen kinds.—Entremets, or side-dishes, to the number of forty-one articles.—Desert, thirty-nine.—Wines, including those of the liqueur kind, of fifty-two denominations, besides ale and porter.—Liqueurs, twelve species, together with coffee and ices." Dancing continued as a rage in Paris. In the opera, Bladgon notes that audiences showed a mania for pirouettes, and writes, "The most famous pantomimical ballets or ballets d'action (as they are styled) now represented here, are Psyché, Télémaque, Le Jugement de Paris, Mirza, and la Dansomanie." And for dancing at balls he writes, "The French country-dances (or cotillions, as we term them in England) and waltzes, which are as much in vogue here as in Germany, were regularly interchanged." But the peace did not last. Despite protests from Lord Whitworth, the English Ambassador, about provocations, Bonaparte violated the treaty. He reacted badly to criticisms from King George, restricted the sale of English newspapers in France when they spoke against his actions, and banished Madame de Stale, who spoke out for Revolutionary ideals of justice and freedom, so that she must stay forty leagues outside of Paris. Finally, he broke the treaty with and issued an order for the arrest of all English—men, women and children. In addition to taking any English prisoners, Bonaparte gave orders to occupy Hanover--a move designed to insult since King George's family held the hereditary office Electorate of Hanover. Bonaparte also moved to reoccupy Naples. In a letter, Bonaparte wrote, "If the English want to make us jump the ditch, we will jump. They may capture a few frigates or a few colonies, but I will strike terror in London, and I prophesy that before the war is over they will weep tears of blood." His prophesy was not entirely correct. By July the Louisiana Purchase had been announced in the United States. Bonaparte was starting to have seller's remorse, and so Jefferson did not wait for Congress to ratify the treaty but moved ahead with plans for an expedition. But Bonaparte had other things to occupy him, such as plans to invade England. Traveling to the French coast, Bonaparte inspected the port cities and decided on Boulogne as his crossing. He believed, "With a good wind we need the fleet for only twelve hours." This was his first major military blunder. The English Channel would never give him that good wind, and the British navy would bottle up half his fleet in one port and sink the rest of it during he next two years. 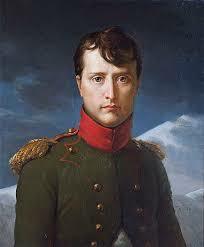 All the gains Bonaparte had made--and could have kept if that peace had held--were to be lost to France. Servants were an indispensable part of running any Big House throughout the ages, including those in existence in Regency England. Manor houses and castles where the upper classes lived were huge and required an army of servants to keep them clean and well-maintained. Also, the owners themselves required a great deal of help from their staff. According to The Victorian Domestic Servant, the Duke of Bedford had 300 servants in his employ, and the Duke of Portland employed 320. To be sure, not all Big Houses had quite so many, and upper class people who lived in more modest houses employed far fewer servants. However, all seemed to have servants. In Jane Austen's Sense and Sensibility, the Dashwood ladies had to count every penny once they were removed from their home, but they still had two servants to help them while they lived in their humble cottage. The care of clothing alone, not to mention cooking or cleaning, was a major undertaking in those days, and gently bred ladies certainly would have lacked those skills. Even members of the gentry who considered themselves poor probably had at least a maid of all work who did everything--cleaning fireplaces, laundry, dishes, dusting, sweeping, scrubbing floors, etc. and was still expected to wait on the ladies in the home. Single gentlemen who lived alone in their bachelor's rooms had at least one male equivalent of a maid of all work, often referred to as a valet (though his tasks would have been more varied than if he were a valet for a lord in a Big House). This all-around male servant was often simply referred to as a "boy" or a "man." Servants' duties mostly took place out of sight. It was good form for a servant to be silent and invisible, which is why so many houses have secret passageways--they were usually servants' stairways and corridors. Servants arose hours before their masters and worked late into the night. They were also at the mercy of their employers and were called upon to work in any kind of weather, at any hour of the day, with few personal days off, and often had poor accommodations. Classes existed in the world of servants from the top which included the head butler, head housekeeper, and chef, right down the to very bottom to the scullery maid and 'tween stairs maid. They all knew where they fit in that hierarchy, just as businesses have a hierarchy from the president down to the janitor. Ladies' maids were high on that ladder, often dressed well and had only to serve their lady's personal needs, dress her, and style her hair. In some houses, the lady's maid was also charged with caring for her lady's clothing, but most houses sent the laundry out to a laundress. The footman was also a coveted position. 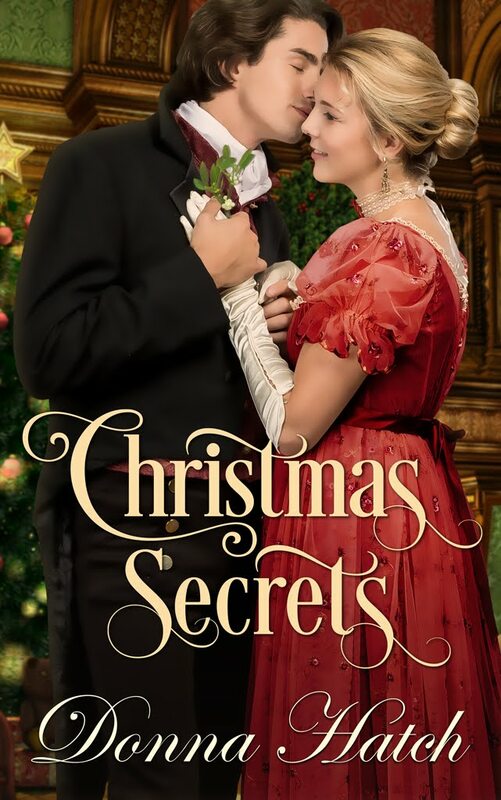 His main role was to be young and handsome, wear livery (a costly uniform), and open doors as well as run the occasional errand such as carrying his lady's packages on a shopping expedition. Most servants were unmarried. Employers didn't want servants distracted by spouses or children. Since servants must be at their lord and lady's beck and call, they slept in the servants' quarters, usually in the upper floors or attic, or on a pallet in the kitchen floor, and could be dragged out of bed without a second thought if their lord had need of them. Essentially, servants were married to their jobs. Some male house servants married, but they had very few days off a month when they could go home. Outdoor servants, however, such as stable hands, gardeners, and gamekeepers usually stayed in their own little cottages somewhere on the grounds. It was fairly common for these servants to be married and have families. Female servants who wanted to marry did so with the understanding that their position in the house was forfeit. Occasionally, the head housekeeper and butler were a couple, but she only joined the staff after her children were raised. A servant's pay was meager, the hours long, and the work often back-breaking, but there was never a shortage of applicants--after all, house servants had a place to sleep and regular meals, not something they could obtain from most other jobs such as those in a factory. In addition, their tasks usually had little to no risk of danger, also unlike factory jobs. I admit, having a chef and maid of all work sounds very appealing, doesn't it?